Type: Undergraduate, Bachelors, Masters, PhD, Associate Degree and Other Degrees program. About the Award: The Canadian Bureau for International Education (CBIE) administers the International Scholarships Program (ISP) of Global Affairs Canada. The ALT Scholarship Program by the CBIE grants full scholarships based on merit to women and men from sub-Saharan Africa to pursue a Master’s degree in public administration, public policy or public finances in Canada. Duration of Scholarship: The African Leaders of Tomorrow Scholarship Programme funds studies in aMaster’s degree programme in public administration, public policy or public finance for a maximum period of two years (24 months). There are no other eligible programs. For more details, Visit Scholarship Webpage. Now that all the information about Nelson Mandela ALT Fully Funded Scholarship Program in Canada has been delivered nicely; talented students who are eager to pursue their Free Tuition/Scholarships/Study In Canada for Undergraduate, Bachelors, Masters, PhD, Associate Degree and Other Degrees, can apply now. 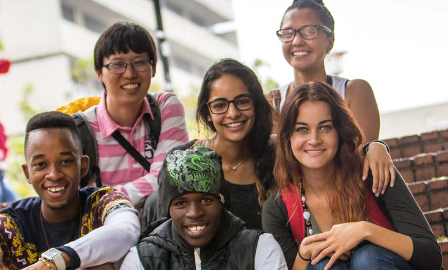 Award/Scholarship Providers: The Canadian Bureau for International Education (CBIE) manages the ALT Scholarship Program in partnership with the Institute of Public Administration of Canada (IPAC) and in collaboration with the African Association of Public Administration and Management (AAPAM) and the Canadian Association of Programs in Public Administration (CAPPA). Read the information from starting to end, you will get full direction to apply. STUDIO28, Please Go ahead to apply. Please go through the information in this post, you will see guidelines to apply. Am Temitope from Nigeria. please can i put in For this scholarship because am still an undergraduate in nigeria. Yes Odedele Temitope. Just make sure you go through the information in this post, you will see guidelines to apply. I am Abdulsalam Motara from Nigeria.l have B.Sc in Geology with second class lower division from University of Ilorin, Kwara State Nigeria in 2013. I like to obtain a Master degree in the same field. Please accept my indication of interest to join your university scholarship program to help fulfill my educational dreams. Abdulsalam Omotara, Go ahead to apply. Please go through the information in this post, you will see guidelines to apply. mhreteab ghebremedhin, Please go through the information in this post, you will see guidelines to apply. Check your mail and confirm the link sent to you via feedburner. My name is Mihreteab Ghebremedhin am from Eritrea. I've Diploma in Business Management. I want to pursue a bachelor in the same field. Thus, I kindly ask you to understand my feeling and interest to join your University scholarship program to achieve my dream. I can reach through the following g mail address mhrepeace96@gmail.com Many thanks. Hello Am TIGEM Keric from Cameroon. I hold a degree in Law and I will like to pursue a masters in International Development. Is this program available for a scholarship ?? Please go through the information in this post, you will see guidelines to apply. Check your mail and confirm the link sent to you via feedburner. Good day, i have gone through the information on this post. Was wondering of one understands french little would be okay, but was stated her one has to be fluent. And i dont think IELTS/TOEFL is seriously needed? Hello I am Okbaghebriel Ghebretinsae from Eritrea seeking your scholarship desperately. I hold my BA in English Language Teaching. I guarantee you my determination and will of success in any of the social science streams provided opportunity granted. You are welcome nelson ozoadibe. Please go through the information in this post, you will see guidelines to apply. Please Send me the application link via zgbrmariam@gmail.com. I went through all information provided in this post but i didn't got any information regarding guidelines to apply for Nelson Mandela ALT Fully Funded Scholarship Program. please if you can send me the application link via zgbrmariam@gmail.com. You are welcome zewdie gebremariam. M khurram from Pakistan and m completed master in Computer Science.Plz guide me how to apply for post gradute scholarship. Ch Khurram, Please go through the information in this post, you will see guidelines to apply. Pls what about undergraduate scholarship? Uche Edemejaro undergraduate scholarships are among too. hy my name is john h muzika from zimbabwe. im looking for a scholarship of 2017 to study overseas .can you help me how to apply and find an application form from where. Hello am David Dauda Sam from Sierra Leone but am presently in Senegal,am searching for such help since 2012 i finally finished my high school and up till now am looking for that support.Am kindly begging you all i really need your assistance, , samdd2015@gmail.com that's my mail so that you may help with the link.May God continue to guide and protect you all,in Jesus Name,Amen. David Sam, Please go through the information in this post very well, you will see guidelines to apply. All courses are eligible. Please go through the information in this post very well, you will see guidelines to apply. All courses are eligible.